"I wish I were this White Camellia.."
Kyusaku Yumeno ;A fantastic nobel writer, and also Zen priest who is known to those in the know wrote this line at his work. 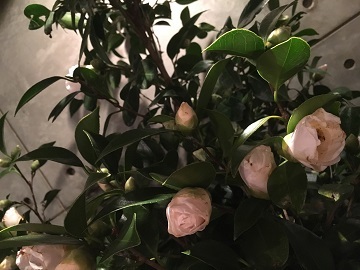 Camellia is generally called TSUBAKI in Japan, and which is one of the most popular winter flower. Lots of Japanese people love this flower how it's neat, clean, and so strong as well.